I absolutely enjoyed talking to Chimee Adioha. He has this sense of humour that is quite contagious and a very serious but funny way of tackling his questions. 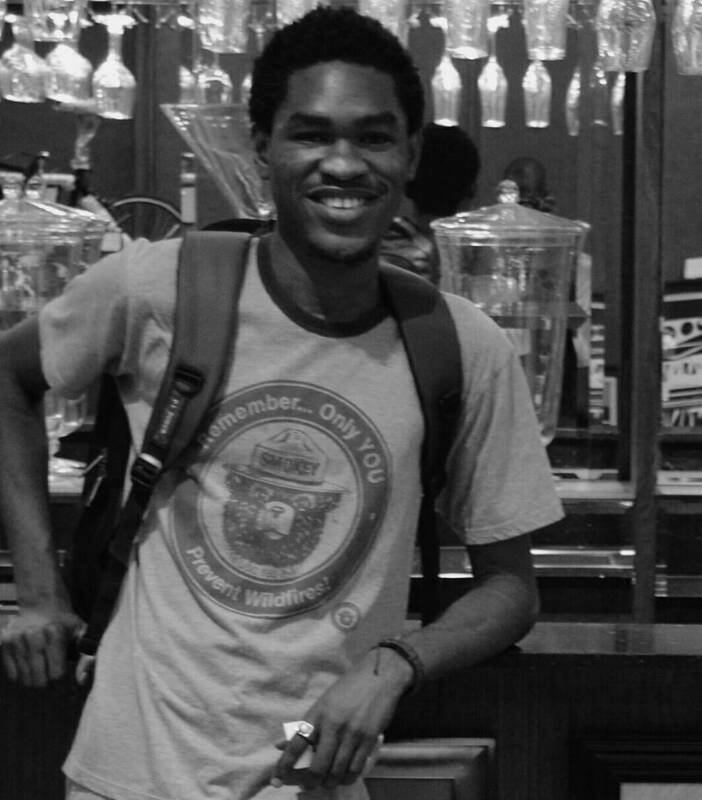 Chimee is one of the many young Nigerians making literature as cool as possible! In this Interview, he talks about his writing, his interest in redefining masculinity, his new found love for Teju Cole and the rough evacuation process in Lagos slums which he documents on his Instagram page! Enjoy! 1) THE AFRO READER: Hello Chimee, thanks for squeezing out time from your very busy schedule to grant us this Interview. Kindly tell us, who is Chimee Adioha? CHIMEE ADIOHA: Chimee Adioha is a writer and photographer who lives in Lagos. He lives in a small estate that lay behind a wide bush, same bush where the runway of the International airport cuts across. He’s always woken by the splitting sound of the plane landing or taking off. He has one children’s book published in 2014. Apart from children’s writing, his stories also revolves around masculinity, girl power and gender. Chimee grew up in Owerri. He studied English in University. He currently works for a human rights organization called Spaces for Change, which focuses on housing and environmental justice. He has one children’s book published. He doubles the art of writing and photography, exploring the lives of people on the fringes. 2) Why did you decide to write a book for children? Before writing that children’s book, I had written terrible stories that ended up in my mother’s shelf; things that only my family read and called me the best writer in the world. I decided to write for children because I thought it was a contribution I had to make as a writer writing for society. I wanted children to be exposed to imaginations that would prompt them to push for change or innovation. I was so conscious of quality, so my book went through the traditional publishing process where a professional editor was assigned to me. We worked on that little story for up to six months. There was a time I restructured the story many times and again, until we all were fine. I believe that children are shaped by what they read, and by reading quality books at an early stage. Writing for children has been like an offering I have made for Nigerian Literature. 3) Are you currently working on any book? Is it also going to be a book for children? Yes. A small book. A story I think I will dedicate to all boys who are growing, and probably who have grown. It’s about boyhood, comformity, sexuality, religion and acceptance. It’s done. Just few friends have seen it. We are still trying to spot errors in structure and elements. I am also working on another small children’s story for girls who want to be strong and want to break societal expectations. 4) As a literary enthusiast, how did you cultivate the reading culture? I was quite an early reader. I went to a primary school owned by Reverend sisters and I was doing first reading or second reading on the day of masses. I read many things, from my father’s psychology books to my mother’s fine art books. I wasn’t reading because I was understanding, but because I wanted to feel engaged. I think reading is part of my fullness. Most of the small books I read were from my mother, some she tapped from the library of the school where she was teaching. All these helped so much. I had no option than to fall in love with books. Paperbacks. Real books. Online books don’t freak me. They don’t work for me. I think reading came to me because the things to read also were available. It was certain that I had a quality primary and secondary school education. University was quite poor. The books from school were must-reads, so that helped a little too. 5) What exactly do you mean by poor University education? When I say poor University Education, I mean the part where students hardly get admissions to study, where students finish University and stay at home for 3 years before going to NYSC, where school years and semesters are interrupted by a month or a year long indefinite strike by University lecturers who are not paid. Students spend 6 years in course programs they should have just finished in 4 simple years. All these things are becoming culture in the University system in Nigeria. A certain class of students did not go for NYSC because their head of department traveled out of Nigeria. She travelled and forgot to forward her students’ list of names to the students’ affairs department. It is sickening. You hardly find your favorite lecturer. The system is not just poor, but the persons involved are also making it poor. Many times you teach yourself. Students thank Google and Wikipedia whenever they graduate and forget to thank their physical lecturers. Most Nigerian students can’t comfortably engage in certain intellectual discourse or easily use Microsoft Excel, including me. But we went to University, they make us buy text books just to have your name on the list of people that bought, so you don’t get an F. You might end up not reading that book. You are expected to be smart and get a smart job. When your incompetence starts to show in your workplace, as a sign of the poor education you have inherited, you say you weren’t taught this one or that one, your lecturer was bad, this, that. You are telling stories. No one is ready to hear those your frustrating stories. The blame of ‘not knowing’ falls back unto you and you alone. 6) Why do you think literature is important. Especially African Literature? How would you describe African literature. Literature is an important inclusion. It mirrors the world. The whole world at that. If you want to know about the places you’ve not been before, grab a book about that place and read. The books themselves are the mirrors that show you everything, like a microscope toddling around an atlas. It is from literature that we all engage in the business of awareness, awareness to know, to learn, or probably to change. In other words, African literature bears the sensibilities of the African people; their culture and daily living; both before and now. 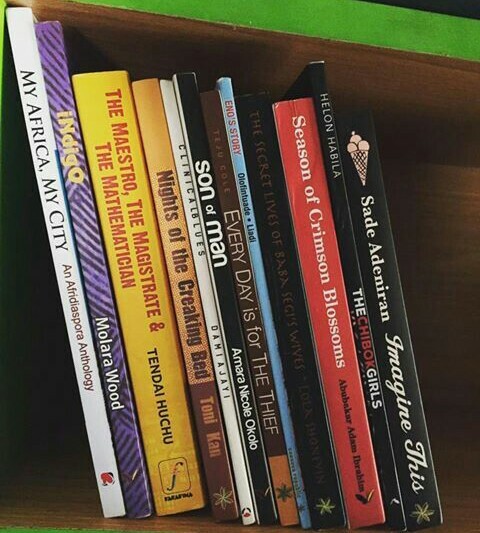 African literature must not be written by an African, but must have African ingredients enclosed in them. 7) What is the first book that pulled your heart strings. I can’t remember. I loved many stories from the comprehension passages of my Day-By-Day reader in primary school. The stories of those illustrated children and all the images in the pages of those readers always inspired my thoughts. 8) What are you currently reading? I am currently reading “Open City Lagos”, it’s not fiction or nonfiction. It’s a book on the urban planning and development of city spaces like Lagos and how urbanization should not exclude informal settlements. I am also reading a 1989 young adult book; The House on Mango Street by Sandra Cisneros. 9) How would you describe a good book? A good book for me is the kind of book I would like to write; or the kind of book I would read just by the synopsis I have seen on the back cover. Books that connect to my beliefs and personal statements are my best. 10) Do you think there are bad books? In terms of their plots and story lines? Yes. There are bad books. Not in terms of production now, but in terms of plot and structure and all, I understand. I read some terrible books when I was growing up. When I say terrible, please I mean bad. Bad. There was a series of books, by one particular author then who was reigning. His products are what I would remember now and call “academic poison”. 11) Mention some of your favourite writers. And if you had to have lunch with just one, who would you pick? My favorite writers are Chimamanda Adichie, Buchi Emecheta, Teju Cole, Chinua Achebe, Ayodele Olofintuade, and some others I can’t remember now. I like you today and your next book doesn’t please me. You are not steady. You are not my favorite. 12) Do you re-read books? If yes, which books have you read more than once. There was a time I was reading Purple Hibiscus always. I was afraid that my own writing may begin to sound like the author, so I stopped. I gave a distance. I am always not comfortable re-reading books, except when writer’s block comes. 13) Recommend 5 books you think every one should read. I am not a steady or regular reader these days. My reading is sometimes limited. But I will recommend: 1. Half of a yellow Sun by Chimamanda Adichie, which is a good history story 2. Everyday is for the thief by Teju Cole, which I think tells a story of Lagos. 3. 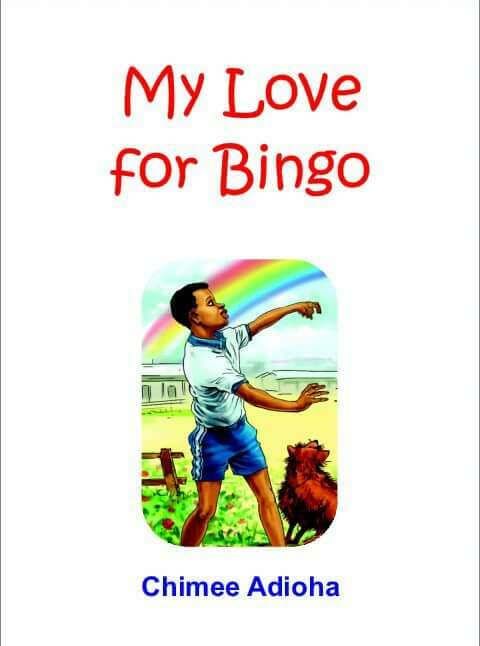 Ayodele Olofintuade’ Eno’s story, a children’s book all Nigerians should read. 4. Stay with me by Ayobami Adebayo, so you can shed a tear or two. 5. The Secret Lives of Baba Segi’s Wives by Lola Shoneyin, which would help you with some Yoruba life. 14) Memoirs, Essays, Fiction, Poetry, Non-fiction. Which is a favourite? Fiction always. The rest are under fiction for me. Fiction, because I love crafting sentences, telling stories with a lot of detail. Fiction gives you a space not just to write, but to innovate, to create and to have the power to produce your characters, make them happy or sad, or even kill them when they do nonsense. You just have the power. It’s on you! 14) How many physical books do you own? I think the picture will do. I have over 50 now, maybe. 50. And a lot scattered in people’s houses. I hate when people do not replace the books they borrowed. 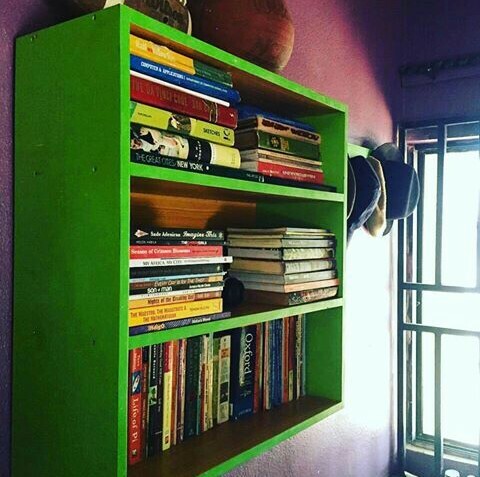 15) Which book would you like to make a compulsory reading for students in Nigeria? Every student should read : Anything. Anything they like. Versatility can be amazing. Sometimes we don’t prescribe. 16) Would you rather buy or borrow a book? Buy please. What is not yours is not yours biko. When I borrow books, my mind is not at rest. I like to be free, to read and eat at same time. When a drop of oil from my egwusi falls on the book or water or fanta pours on it, I will have no querry to answer. I will not be accountable for any damn thing. 17) Favourite book you read last year and this year. Last year, I was reading too many school books, mostly nonsense. I wasn’t able to read any meaningful book. This year, I fell in love with Teju Cole : Everyday is for the Thief. 18) Packing for a journey and allowed to take one book. What will it be? It can serve as a Bible, or a book you read and memorize each day of your travel. It’s more like a manual or a guide. 19) How has reading influenced your writing habit and what keeps you motivated during creative slumps? I am not a serious reader. I like to tell people that I am also a serial book collector. I have love for book covers and new books and their paper smell. I like to place them beautifully in my shelf. I can dump a book at the middle and never go back to it. I don’t read too much. I read when I am so free and read what I actually like. I can’t read because this is what everyone is reading so I have to join. But in all cases, I think my writing is shaped by the kind of things I read. Remember, I am very conscious of not sounding like another author, no matter how I try to fall in love with a particular writer. Creative slumps. When they come, I rest, drink some soft drink. My cousin Ikenna likes some certain events, I join him. When I come back, I jump at the middle of any book in the shelf, I read, I charge again and regain my creative default. 20) Can you remember some of the earliest books you read…as a child? And when did you begin to focus on African literature? Chike and the River is a book written by Chinua Achebe. The book illuminates what boyhood was in South Eastern Nigeria. It connected a lot with me. It’s a book I think all boys should read. It presented boyhood at Its best, which is one of the things I’m interested in. There was also a book that I stole from someone else’s shelf, a large collection of children’s stories. The owner hasn’t caught me yet. (Laughs). My understanding of African literature was around 2011, during that space between secondary school final examinations and University exams. I had to understand that African literature is us, about us, by us, so I thought I would be silly not to identify. 21) As a literary enthusiast, what is the best money you have spent on books? 22) What book are you embarrassed not to have read? Books you think you should have read already? Like, I feel so embarrased when people talk about Flora Nwapa. Haven’t read any of her books. Shame on me. I should have read all Teju Cole’s books by now. Nnedi Okoroafor too. Even Flora Nwapa. It’s just a shame. I wish I have also finished AMERICANAH by now. 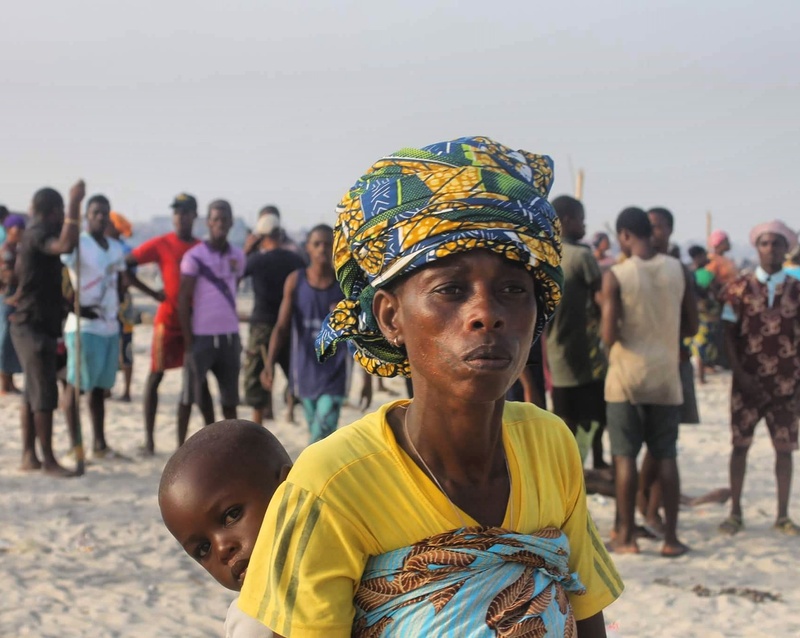 23) Tell us about the rough evacuation process in Lagos slums. How has this affected you as a writer and a photographer? Honestly, I never knew so well about slums and their inhabitants until I joined SPACES FOR CHANGE. The incidents are harrowing and irking. How do you evict and remove people forcefully from their little homes just because you want to opt for city development and urban renewal. To develop a city is fine, but not when it cuts across people’s rights as human beings. Authorities carry out these demolitions, causing death, loss, pain and sickness upon humans, for the simple reason that they are poor. Before you evict people, compensate or resettle them. It’s that simple. Otherwise, informal settlements must stay. If you can’t upgrade these sort of settlements, you resettle or compensate. Simple. You don’t create more slums and more squatters because you want to develop a city. The pain is that beautiful and swanky structures replace these slums. Who benefits? The rich. Where is the poor? Evicted and sent to hell. That’s the evil news. I am quite opportuned to witness all these terrible incidents. Recently, I have been doing a bit of documentary photography on my Instagram page at @blackboyreview on slumdwellers. It’s something I’m doing to create awareness and push for policy reforms. We are also training young people from particular Lagos slums on digital storytelling. We want them to use digitized methods to tell stories of their housing challenges as marginalized youths and low income earners. You can’t believe the talents that are hidden in these slums. Their stories are all compelling. It’s a happy thing that they are also using the opportunity to challenge and counter the negative labels on slums. Slumdwellers are not always prostitutes, miscreants, hoodlums, drug addicts. Slum dwellers can also used digital technology to craft stories about their experiences so that authorities can hear them. Chimee Adioha is the founder of the BLAKBOYREVIEW – an online literary journal, celebrating fresh talents springing up from Africa. They tell our stories with a huge dose of whimsy and creativity. Black Boy Review features tales, poetry, fine art, interviews and photography. Conversations is a MONTHLY interview series with some of our favorite poets, novelists and book enthusiasts. If you enjoyed this, share with everyone you know. Please, subscribe and join our mailing list so you do not miss out on any!